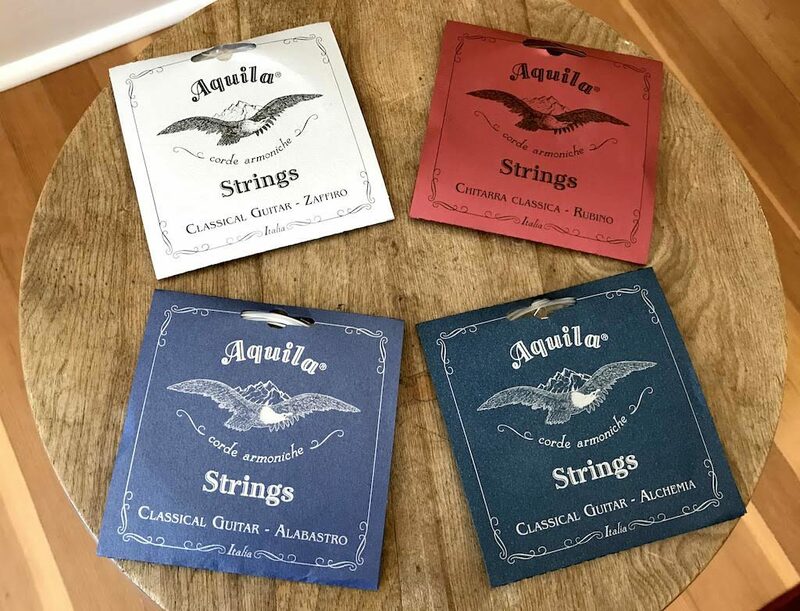 Aquila is such a cool string company both for their historical strings for early music (think Nylgut) but also modern experimentation and the variety of styles and sounds of their strings. Visit Aquila and read about their strings at their website. My favourite set so far are the Zaffiro that sound somewhere between nylon and carbon strings, but all their strings are super high quality with above average projection and intonation. I am seriously considering using the Zaffiro or Alchemia permanently. They make some other nylon strings sound like plastic toys. Bravo. Aquila Zaffiro – The treble strings are Nylonplant 100% derived of plant materials which is cool. Aquila’s description: “medium brightness and at the same time rich sound, allowing fair expressiveness.” I agree. They feel a bit stiff like carbon strings but are smoother and more legato like nylon. Quite expressive with good sustain and vibrato capabilities. Brighter and better projection than regular nylon strings but less intense as a carbon string such as Savarez Alliance. Sweet bell sounds exist but less so with a bit more of the woody quality of the guitar and a bit of pluck. Basses are the traditional silver-plated copper, wound on a multifilament core in supernylgut; good mix of projection, clarity, and mellow richness (and not very squeaky either). Quality, intonation, and projection are all good and above average nylon. No tension options, but they feel good for me, similar to hard tension trebles, normalish basses. Overall an excellent string that sounds and feels somewhere between nylon and carbon strings. I would use these for concerts or recording and like them the most of all the Aquila strings I’ve tried. Aquila Alabastro – Nylgut. Aquila’s description: “excellent performance qualities similar to gut strings, with a better brightness than nylon but not as much as fluorocarbon, excellent sound attack.” Again, I agree. I really like the unique character and feel but if you’re looking for a smooth silky string this might not be it. 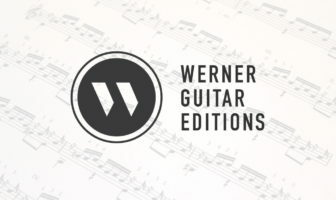 Nylgut is a modern synthetic material that imitates (and improves) early music gut strings and this is an update that brings it into a modern guitar string family. Excellent volume, projection, and intonation (amazing, really). Lively, bright, and ultra clean sound. Bright might not be the correct word, more ‘direct’ with intense projection. Not harsh, more on the plucked instrument side. I wouldn’t call them expressive in terms of left hand vibrato etc but the increased balance improves some repertoire dramatically. They really clean up the sound and balance, not mushy at all and cross-string trills never sounded better. They feel somewhat stiff, both the material and the tension (I tried the normal tension, they come in three levels). Very high quality and interesting string that would be great on stage but beginner students should not venture here as they will not be forgiving to bad nails or technique. A great string for specific types repertoire. Aquila Rubino – Aquila’s description: “the brightest and sharpest sound ever, superior to Fluorocarbon, sharp and clear promptness on sound attack, good timbre modulation.” Overall true but I wouldn’t use the word ‘bright’ too literally. Maybe a better word would be direct, focused, clear, and intense but not harsh. The material is very interesting, a small diameter string and yet they sound thick but not dull. Reminds me a bit of the Savarez rectified strings but smoother, smaller, and better. Not a super silky smooth sound, the high e is certainly not lush but there is some warmth in it and would sound good in a hall. I tried the normal tension which felt like a hard tension, so be cautious of the harder tension options. Excellent projection, balance, and intonation. To my ears this has all the qualities of an intense carbon string but with a thicker and less glassy quality. Cool dark red and chocolate colour. I would recommend this string to professionals and advanced students looking for balance and projection without sacrificing much legato or risking a brittle sound. A great string for concerts and ensemble playing. Aquila Alchemia – Polymer blend. Aquila’s description: “bright sound similar to Fluorocarbon but at the same time gives high performance in vibrato, great timbrical variation responding to variations of the right hand, surprising sustain.” Yes, I agree. They are very similar to a bright carbon string such as Savarez Alliance. If you want all the qualities of an intense carbon string but less potential for harsh brittle sounds this is a great string for you. I tried the normal tension which felt like a hard tension so be cautious of the harder options. Again, excellent projection, balance, and intonation. These had the most ‘pop’ of all the Aquila I’ve tried. Brings the guitar to life. Might be too bright and intense for some people, especially the high e string, but I like it and it sounded more smooth than the Rubinos. A great string for concerts and ensemble playing. Other Aquila String Sets (that I haven’t tried yet): Perla, Cristallo, and Ambra. I just got a new guitar fitted with Alchemia. It maybe because I am low on nails, but these strings have a very very notorious squeak. At the beginning i was woo! What is that? I searched around at the recommendation is to use hand cream. I read the noises can go away after one week or so. It is strange that that has not been noticed, just slide your fingers over the trebles before playing…..they really whistle. However, if you manage to abstract that background noise, they sound great! I have now ordered some Rubino to see whether they are as good but without so much squeak.